QPF Finance Group Director, Ken Gordon, was last night awarded National Finance Consultant of the Year at Bank of Queensland’s (BOQ) annual Broker of the Year Awards. Ken was one of four brokers who qualified for BOQ’s national award, after taking out the award for Queensland Finance Consultant of the Year. Ken heads up the QPF Toowoomba office and is one of five Directors of the QPF Finance Group. These awards are a reflection of Ken’s continuous professionalism and dedication to his clients. 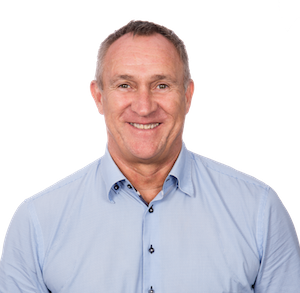 Ken brings to the group a wealth of experience in the finance industry having worked for a number of financiers including the Commonwealth Bank, AGC and Toyota Finance. The Toowoomba team now services a client base of more than 1500 local businesses spread throughout South-West Queensland. Ken received the good news while on a well-deserved holiday in the UK. He sent his appreciation and would like to thank everyone in the Toowoomba and Springwood offices who assisted him throughout the year.